Talk about a mystery seed. 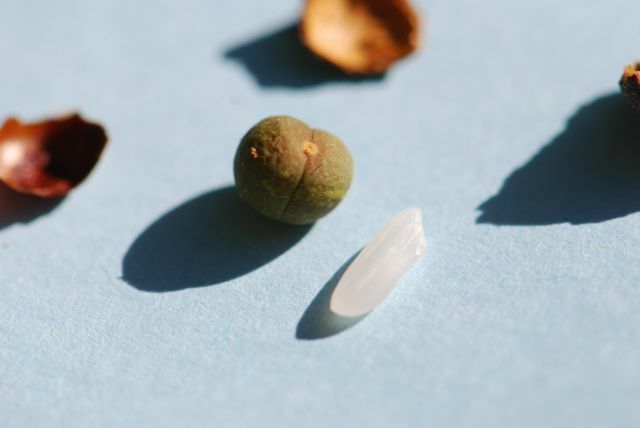 I couldn't find a labelled photograph online to verify the identification (the seed is round and white item is a grain of rice added for scale). Hint: it is considered to be a landscape plant. 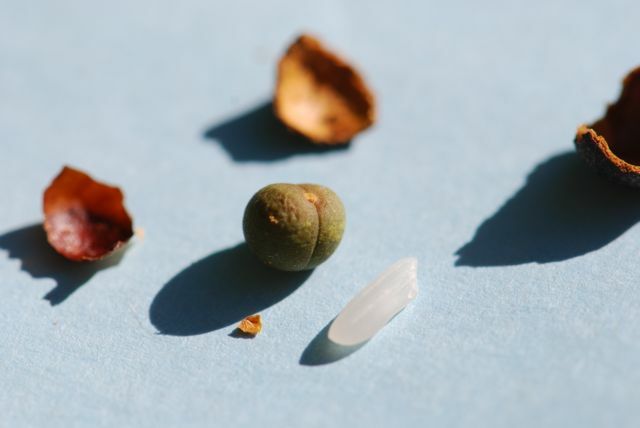 Do you recognize what plant this seed is from? If you choose to, please leave a comment with your ideas. I'm not making any guesses this week, but I wanted to say how awesome it is that this is Week #244 of Mystery Seed of the Week. Simply Awesome! Thanks for noticing. It can be a challenge to find new seeds, but it always seems to come together somehow. They do look similar before the Camellia fruit break open. This one has had the outer covering removed. I have seen this before but cant recall it! Any chance of a picture with the outer covering intact? As you will see, I'm not 100% sure I have the right plant so I'd like to see what you think.